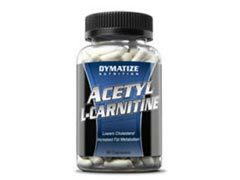 Acetyl L-Canitine, is a naturally occurring amino acid found and manufactured by our own bodies. It’s used in the production of energy. This powerful compound is used in medications for many illnesses such as Alzheimer’s disease and alcoholism, and possibly depression, Down syndrome and nerve pain. Carnitine weight loss is another avenue for which these powerful protein building blocks are utilized, but the evidence is not sufficient to support that the l-carnitine weight loss theory holds any water. There have however been studies that have shown that carnitine supplement products can increase muscle mass and reduce fat, and also that carnitine weight loss benefits can include fatigue reduction, which of course when all combined could lead to weight loss in some individuals. If you choose to try carnitine weight loss products for weight loss, remember that taking large amounts of this amino acid is likely to yield some side effects. Most of these are mild, and the compound is considered to be safe for most adults to take. However, some of the adverse affects associated with both oral products, and liquid l-carnitine can include nausea and vomiting. Additionally, restlessness has been reported in some users. There is also some theories to suggest that l-carnitine weight loss supplements can interfere with the activity of the thyroid, and therefore if you have an underactive thyroid, it’s advisable that you do not take carnitine supplement products. Carnitine weight loss products are normally well tolerated and have little serious side effects, however in rare cases, seizures have been reported. That is why it is critical that you discuss any and all medications or supplements you intend to try with your health care professional. He or she will discuss possible drug interactions with you, as well as the potential for contradictions with existing medical conditions that you might have. As with any medication, side effects that are mild are to be expected, however if you have serious side effects that are concerning to you when taking this product for weight loss, stop taking it and consult your health care provider immediately.